Camp Kalalla… It doesn’t matter if you’ve been coming for years, or if you’re new, we are all one big family. Camp has become such a big part of my life, I have made so many unforgettable memories. From swimming, to geocaching, sleeping in canoes, to late night talks around the sizzling fire, camp will always have a special place in my heart. Ever since I was seven, I’ve made it my duty to come to Kalalla each year. For the fun I have with old friends, and for the new friends I will make along the way. Although we only may be there a week, I hope I’m not the only one, that out of habit, carries on camp experiences in my daily life back in the city. 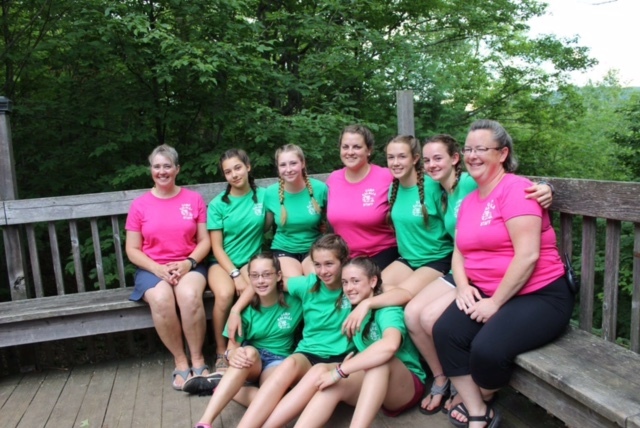 I am often caught calling out my family for putting their elbows on the table, or for being too loud when I sing “Alive, Alert, Awake” when I wake up on a school morning… Camp has made me the energetic, outgoing and open minded person I am today. I am forever thankful to everyone at Kalalla who reaches out to another, and inspires them to do great things. I am thankful for Kalalla. The experienced campers, who see the new ones and invite them to join in and introduce one another. I am thankful for the counsellors, who have an extreme amount of patience in trying to calm down the campers who stay up late at night (almost every cabin). Waterfront, my favourite place in the world… Although there may be dock spiders, you can always count on Summer to shoo them away. I am thankful for everyone who has given something up to be at camp each year, it simply wouldn’t be the same without your caring and creative personalities. To Kalalla, I love my Kalalla family more than explainable words, and am looking forward to seeing you all next year(if not sooner)! You’re all so special and unique, and I’m forever proud to call you my camp family. Sending my love to all of you wonderful people with hearts of undividable kindness. I can’t wait to see what camp Kalalla 2017 will bring. This entry was tagged all girl camp, christian camp, overnight camp. Bookmark the permalink.